Its a New Year(s eve)! For New Year’s this year, we spent the first part of our evening having a nice bolivian dinner with the other volunteers, including three from other towns near us. We made a dish called salchipapa which sounds fancy but is really just fried hot dogs on top of french fries…mighty tasty. After that, we all went to mass at our nearby church, where we met up with all the girls from the Hogar (the girls home) and sat with them. 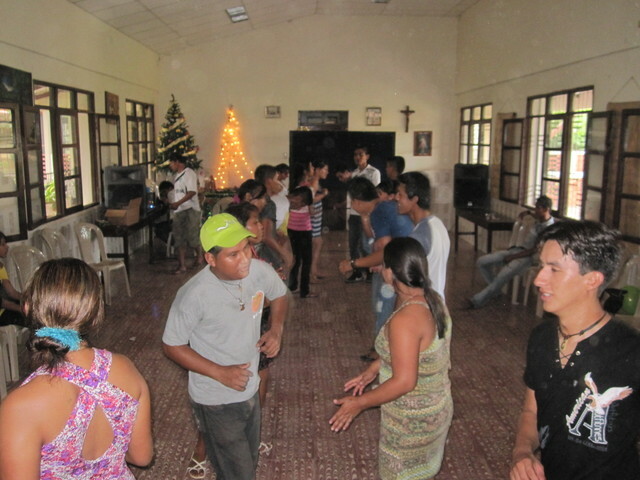 After mass all the volunteers went back to the Hogar for their big New Years party. We got lots of time to hang out with the girls. (above) Tom, Ophelia, Goelle. 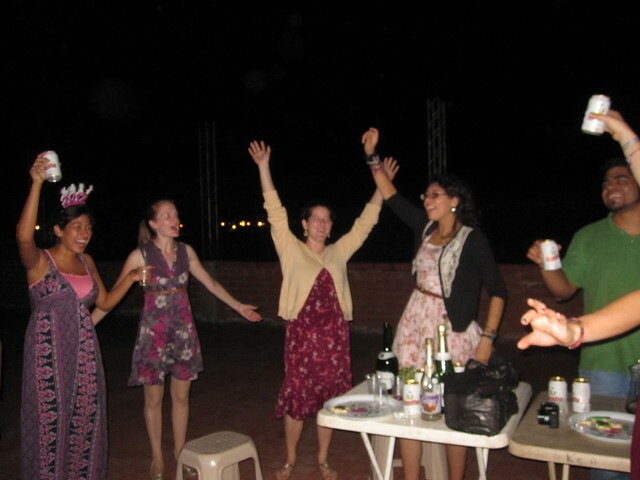 (below) There was also quite a bit of dancing. Laura and Deisy. 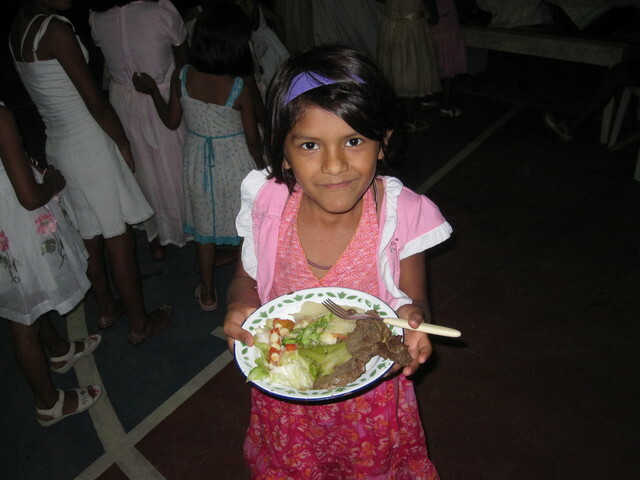 For the occasion, the girls even got a fancy dinner. They all really enjoyed their big pieces of steak (decent meat is not very common for them). Eat up Ophelia! Just before midnight most of the volunteers left the Hogar for our own party, which we had on the roof of the institute where I teach. From up there we got a great view of the fireworks that were shot off all around town. There weren’t any particularly large displays, but every block in the city had their own, still quite substantial, display. However, from our vantage point on the roof, we could see all of these at once and it was amazing. I have never seen so many fireworks at once before. I shot a short video of it so you can see for yourself. The video starts facing downtown, then after everyone says “Happy New Years” it pans 360 degrees around. the Flash Player to see this video. But it wasn’t over yet. 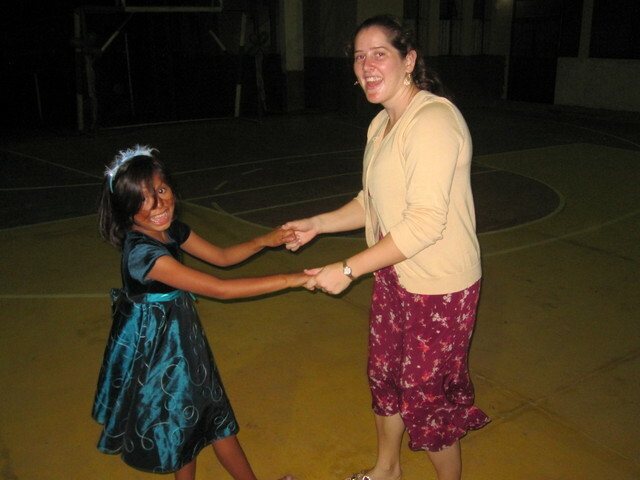 The next day we had a party at the parish center put on by the young adult groups. Again, there was lots of dancing. 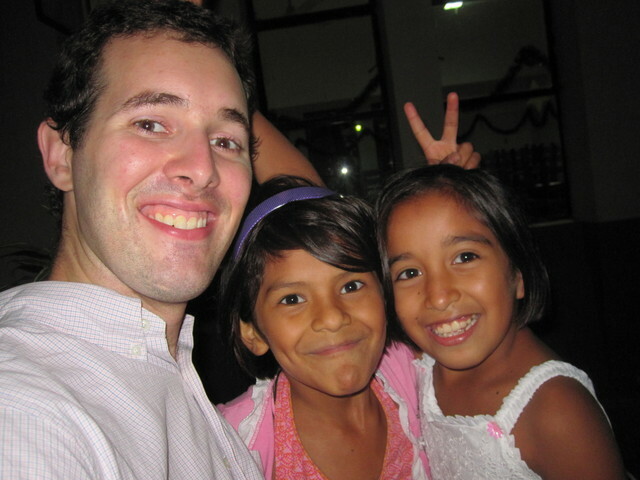 Currently, we’re looking forward to our second (almost) full year in Bolivia. We’re very busy getting set to begin the school year, which starts in just a couple weeks. We hope that the new year, 2012, brings love and joy into your life. Please keep us and the people of Bolivia in your thoughts! This entry was posted in Bolivia by Tom. Bookmark the permalink. Thank you for sending the wonderful stories and pictures of those beautiful people. They look very happy at their party. Good for them to have happy times. Happy New Year for a great year. Nancy Whites. Great fireworks! I know where I’d like to be next year.